This document describes how to create an external password to use with third-party apps that do integrate with UW Madison Single Sign-on. UW-Madison users can generally log into their UW-Madison Box accounts using their NetID and password. 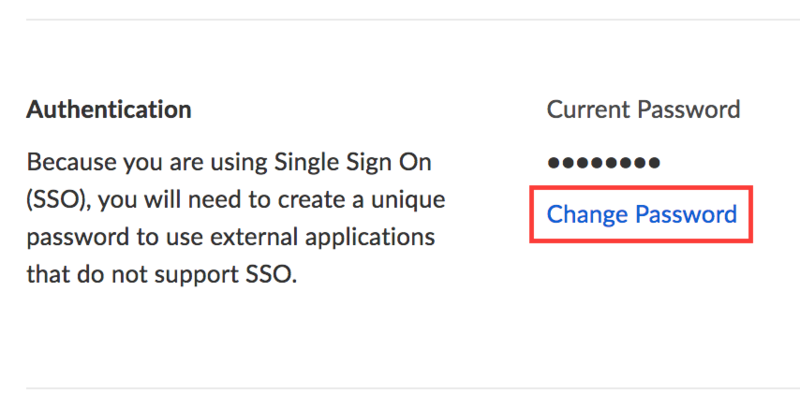 While this is true for the web client, desktop client, and some mobile clients and apps, other third-party applications may not be configured to use Single Sign On (SSO). If an app integrates with Box.com but does not use SSO, you will need to have an external password created that can be used for authentication within the app. Scroll down until you find the Authentication section. Even if you have never created a password, it will appear as though one already exists. Click on Change Password. Note: You do not need to remember an external password to reset it. 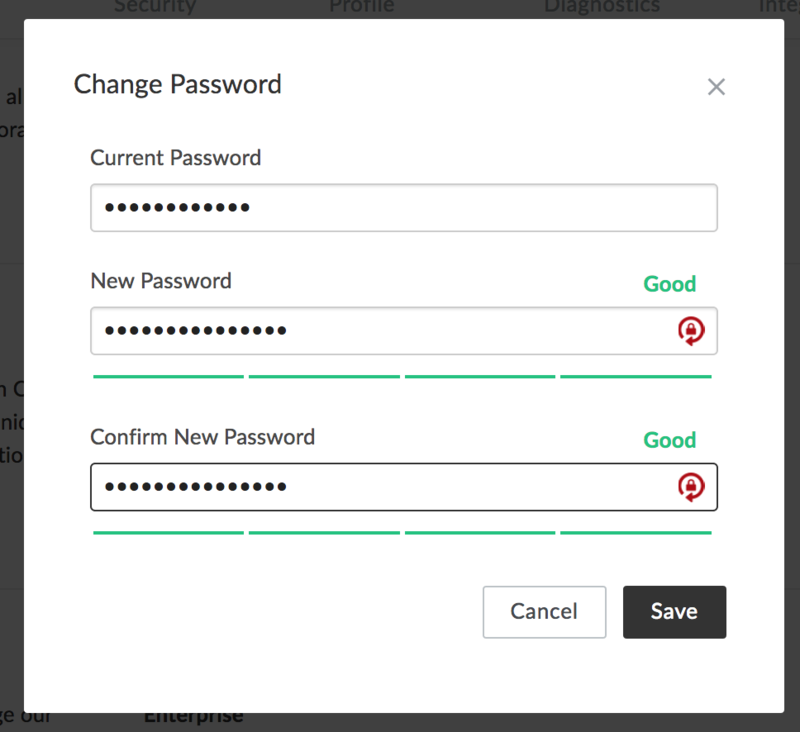 Begin typing your desired password in the New Password field. As you do, the meter below the text field will report the strength of your password choice. Re-type the password in the second field and click Save when ready. Note: For security reasons, your external password should not be the same as your NetID password. If your password does not meet the UW Madison Box password requirements you will see a message at the top of the screen that delineates the current requirements. If the password was reset successfully, you will see a confirmation message. 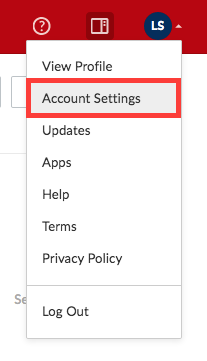 You should now be able to log into Box-integrated apps that do not use SSO by entering your your account's primary email address (in the format netid@wisc.edu) as the username, in combination with your external password.